Nicole Kidman has finally joined the condemnation of disgraced movie mogul Harvey Weinstein amid allegations he sexually harassed women for decades. In a statement to PEOPLE this Tuesday, the Oscar-winning star pledged her support to any victims of sexual misconduct. ‘As I’ve stated before publicly, I support and applaud all women and these women who speak out against any abuse and misuse of power — be it domestic violence or sexual harassment in the workforce. We need to eradicate this behaviour,’ she said. Nicole has worked with Weinstein on several films, including Cold Mountain, The Others, Nine and Lion – for which she received an Oscar nomination. She is the latest in a slew of high-profile celebrities who have slammed Weinstein over claims of sexual harassment, with Meryl Streep, George Clooney, Judi Dench and Kate Winslet also echoing her sentiments. 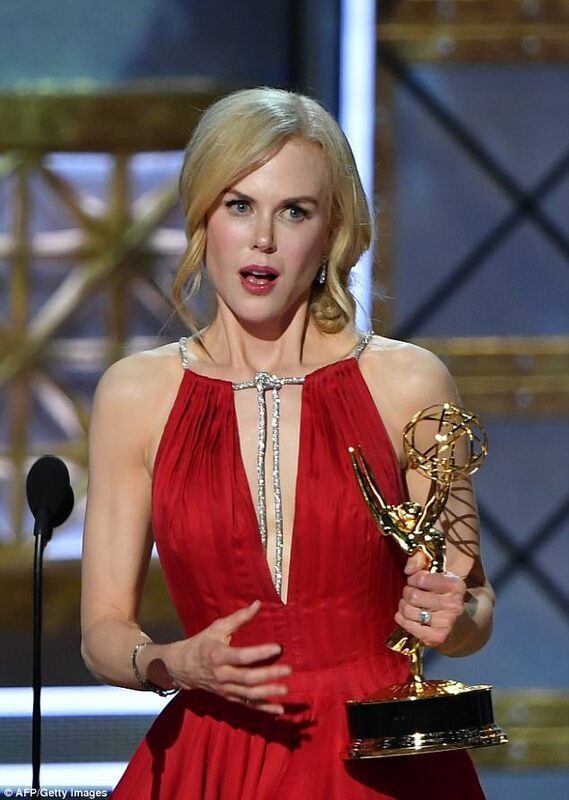 Nicole, who played a woman abused by her husband in HBO’s Big Little Lies, recently used her recent Emmy Awards acceptance speech to draw attention to the issue of domestic violence. ‘It is a complicated, insidious disease, and it exists far more than we allow ourselves to know,’ she continued. Weinstein was fired on Sunday from his own film studio, three days after a bombshell New York Times report alleged that the Oscar-winning producer, behind such hits as The King’s Speech and The Artist, had preyed on young women hoping to break into the film industry. Weinstein’s accusers – who reportedly include celebrities such as Rose McGowan and Ashley Judd – say the 65-year-old tycoon had promised to help advance their careers in exchange for sexual favours, pressuring them to massage him and watch him naked. The Weinstein Company’s board said it had sacked him ‘in light of new information about misconduct’ in the explosive Times article, which detailed decades of legal settlements stemming from harassment allegations.